If you’re one of the many homeowners that dread mowing their lawn, you’ll be excited to learn about the opportunity to invest in the best zero turn mower on the market. For an overall look on the best riding mowers, click here. These mowers are powerful, sturdy, and ready to get the job done faster than you ever thought possible. These lawn mowers are innovative and show a lot of ingenuity when it comes to taking care of one of the most tedious tasks in a reasonable amount of time. For smaller work, you could consider string trimmers. Looking in the winter? Check out our review of the top snow blowers. There are a lot of great zero turn mower brands on the market, but when it comes down to it, reading about all of them is just too time consuming for most homeowners. View the Best Zero Turn Mower on the Market, Below. 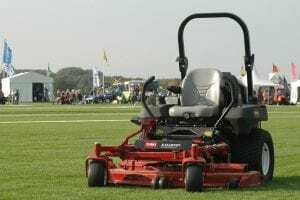 Who Makes The Best Commercial Zero Turn Mower? How to Lift a Zero Turn Mower? Do Zero Turn Mowers Have Brakes? Is Zero Turn Mower Worth It? What to Look For When Buying a Zero Turn Mower? Luckily, we’ve done the work for you. We’ve compiled a review of the top 10 zero turn mowers on the market and broken down everything you need to know about each one of them. Prepare to have your life changed forever – working with a zero turn mower is almost like not doing any work at all. If you’re looking for something more simple, you may wish to consider reel mowers (click for review). If you need a zero turn mower that can keep you on top of your game and ready to get work done, you should invest in the Husqvarna 967271701. This powerful machine comes with everything you need to make sure you’re able to mow your lawn, quickly, effectively, and free of hassle. The machine is compact and agile, making it that much easier for you to trim your lawn down without issue. The Husqvarna 967271701 is powered by a powerful Kawasaki engine - one of the leading providers on the market. The impressive design of the Kawasaki engine allows it to put out 23 horsepower and will help you finish your lawn work in no time. You’ll be able to get work done quickly and effectively with the speeds this engine can reach. In addition to power, the Kawasaki engine comes with Air Induction Mowing Technology that ensures its superior performance. The Husqvarna 967271701 has one of the top designs on the market that we’ve seen. It comes with an oversized cooling fan that helps to keep the engines at an ideal working temperature at all times. It also helps to provide better lift for the machine and enables a better cut for your lawn. You’ll also be able to appreciate the comfort and easy maneuverability that comes with operating the Husqvarna 967271701. The machine was designed with some of the most comfortable ergonomic features we’ve seen and provides superior comfort. You’ll be able to ensure that you’re able to get through your work day without issue thanks to the Husqvarna 967271701 . See more information on Husqvarna 967271701. The Husqvarna 967271701 is one of the best designed zero turn mowers we’ve seen. The device has the ability to maneuver quickly and efficiently through your lawn and garden areas. You’ll be able to work quickly and efficiently thanks to the sheer power and speed this machine is able to provide. The Husqvarna 967271701 is able to put out 23 horsepower and has one of the fastest mph speeds out of any similar type mower in its class. This combined with the ergonomic controls and design makes it the ideal machine for any home owner. The Ariens 25HP ZTR is a powerful device that will work well for any home owner with a large estate or commercial contractor with a big workload. This commercial device comes equipped with some of the latest technological advances that zero turn mowers can offer. The machine is perfect for those who need to be able to cover a lot of ground in a short period of time. The Ariens 25HP ZTR boasts 25 horsepower, making it one of the most powerful machines on the market. Its impressive engine also helps it reach speeds that allow it to cut down your working time considerably. The Ariens 25HP ZTR is one of the smartest investments you could hope to make. The device is capable of reaching impressive speeds and has a large cutting path to work with. You’ll be able to get a significant amount of work done with the machine thanks to its 6 gallon fuel capacity and impressive ergonomic design. See more information on Ariens 25HP ZTR. The Ariens 25HP ZTR is a powerful device that will help you finish your work quickly and effectively. The powerful machine is good for commercial grade work and will help to make a significant difference in the amount of time it takes you to finish your work. The machine boasts an impressive 25 horsepower power output and makes it easy to cruise through your work periods. The fuel tank can hold up to 6 gallons of gasoline and will make it easy for you to complete all of your work in a timely manner. If you need a machine that can help you work quickly and effectively, the Poulan Pro P46Z Briggs V-Twin is one of the greatest value buys you can make. This zero turn mower is built with some of the most advanced features you could hope for while still maintaining a budget price. This machine is built with strong and durable materials that will last for many years to come. It will help you cut your working time down considerably and make the work effort easier to manage. The Poulan Pro P46Z Briggs V-Twin is one of the smartest buys you could hope to invest in. It comes equipped with a powerful 22 horsepower engine built by Briggs and Stratton engine company. This is one of the leading engine providers on the market. They have several decades of experience when it comes to crafting engines that are built to exceed expectations. You’ll be able to cut down your mowing time considerably thanks to the precision and ease with which you’ll be able to move. You’ll be able to get in and out of most tight areas without too much difficulty thanks to the compact design. However, you’ll also be able to cover a considerable amount of ground thanks to the 46 inch mowing path. Last but not least, you’ll be able to get your work done comfortably thanks to the ergonomic design of the machine. You’ll never have to stop working because of an issue with discomfort. Additionally, you’ll have 6 different cutting heights to choose from, making it easy to find a length that will please all your customers. See more information on Poulan Pro P46ZX Briggs V-Twin. The Poulan Pro P46Z Briggs V-Twin is an excellent machine that works to make it easy to get work done quickly and effectively. You’ll be able to easily maneuver throughout your yard while still maintaining a cutting path of 46 inches. Additionally, the Poulan Pro P46Z Briggs V-Twin is powered by a 22 horsepower Briggs & Stratton engine and makes it easy to get work done in a fraction of the time it would take on a traditional riding mower. You’ll be able to choose from 6 different cutting heights, ensuring that you’ll never have to settle for a trim that isn’t ideal. The Swisher ZTR245BS is an impressive piece of machinery that helps to power through lawn work quickly and effectively. The solid mower is comprised of only the most sturdy and durable parts and materials to ensure that you’re able to cut down on your mowing time considerably. The Swisher ZTR245BS comes with an impressive 24 horsepower Briggs & Stratton engine that will help you reach ideal speeds and performance that exceed industry expectations. The Briggs & Stratton engine is one of the leading designs on the market and will help to ensure that you always receive optimum results. Additionally, the 8 gallon fuel tank helps to ensure that you won’t have to stop in the middle of your workday to take care of your machine. You’ll be able to work the full day through without any issue. Perhaps one of the most impressive features of the machine is its foot assisted deck lift. If you don’t have a jack lift or a lift machine, this feature will save you a lot of money. The foot assisted deck lift allows you to safely lift up the deck on your own and without the use of extra machinery. You’ll be able to easily access the bottom of the front deck, making it easier to change out and sharpen your blades when necessary. This will also help you ensure the cleanliness of the Swisher ZTR245BS and make it easier for you to grease the moving parts when needed. See more information on Swisher ZTR2454BS. The Swisher ZTR245BS is an excellent piece of equipment that helps to cut down on your mowing time considerably. The device is equipped with a 24 horsepower Briggs & Stratton engine - one of the most powerful and reliable engines on the market. Additionally, the machine features an innovative foot assisted lift system that makes it easier to access the underside of the front deck without additional tools. This helps to ensure that you’ll be able to safely access the deck when you need to change or sharpen your blades. Last but not least, the device comes with an 8 gallon tank that will keep your engine running all day long without need for refueling. If you need reliable and consistent power to get through your working day, the Troy-Bilt Mustang 25HP is the perfect investment for you. The Troy-Bilt Mustang 25HP is built with strong and sturdy materials that make it easy for you to get work done quickly and effectively. Additionally, the machine is built with only the safest and sturdiest materials on the market to ensure that you’ll get the highest return on your investment. The Troy-Bilt Mustang 25HP is powered by an impressive 25 horsepower Briggs & Stratton engine - one of the top engines on the market. Briggs & Stratton are some of the most experienced engine manufacturers on the market, as well as one of the most respected. You’ll be able to cut down on the time it takes you to mow your lawn considerably thanks to this powerful machine. The Troy-Bilt Mustang 25HP also comes with ‘Power Take Off’ technology that allows you to start and stop quickly. You’ll be able to take advantage of both this and the 54 inch cutting deck when it comes to making an impact on the rate at which your landscaping business is able to grow. See more information on Troy-Bilt Mustang 25HP. The Troy-Bilt Mustang 25HP is a powerful and impressive device that makes business easier for professional landscapers. This commercial grade zero turn mower makes it easier to do consistent and effective work in a record amount of time. You’ll be able to move quickly thanks to the 25 horsepower engine made by Briggs & Stratton. You’ll also be able to take advantage of the ‘Power Take Off’ technology that makes it easy to get a quick start into your work. If you’re looking for a machine that is able to produce a zero turn pivot, but aren’t quite ready to give up the simplicity of a traditional riding mower, the Troy Bilt 25HP 725cc makes an innovative compromise. The Troy Bilt 25HP 725cc makes it possible to get work done quickly and effectively while still maintaining the familiar design of a traditional riding mower. This unique design also allows you to maintain more control when you trim grass on hills and uneven terrain. You’ll be able to maintain the benefits of the zero turn mower class while gaining extra control in less ideal mowing environments. You’ll also be able to appreciate the 54 inch mowing path. The triple blade system makes it easier to get the perfect trim for your yard. Additionally, you’ll be able to take advantage of the impressive 22 horsepower engine manufactured by Kohler. The Troy Bilt 25HP 725cc is perfect for any residential mowing needs you may have and is one of the smartest picks for anyone who needs a zero turn mower but doesn’t want to give up a traditional wheel. You may also require a back mounted leaf blower to clear away debris left by cutting your lawn. See more information on Troy-Bilt 25HP 725cc. The Troy Bilt 25HP 725cc is an impressive machine that makes it possible to maintain the familiarity of a traditional riding mower while still gaining all of the zero turn benefits. You’ll be able to have greater control on hills and rough terrain thanks to the 4 wheel steering system. Additionally, the triple blade system helps to ensure that you’ll always get the ideal cut. If speed and reliability are what you need, the Swisher ZTR2454KA is one of the most worthwhile investments you can make. This machine allows you to incorporate all of the desireable zero turn mower features into one sleek and compact design. The Swisher ZTR2454KA is built with strong and sturdy materials that are built to last. Additionally, the device comes with a low center of gravity that helps to make it easier to maneuver throughout your lawn. The Swisher ZTR2454KA also comes with a rapid response control system that helps to make it easier to move quickly and efficiently. You’ll be able to maintain optimum control and comfort over the machine while you work. The Swisher ZTR2454KA is powered by an impressive 24 horsepower Briggs & Stratton engine. This is one of the most trusted engine manufacturers on the market. With their work, you’ll always have plenty of power to work with at your fingertips. Another great feature offered by the Swisher ZTR2454KA is the foot assisted deck lift. This mechanism makes it possible to change out and sharpen all of your blades without the use of a jack lift or a lift machine. You’ll also be able to access the underside of the deck with maximum comfort and speed, making for a great investment. Last but not least, the 54 inch deck of the Swisher ZTR2454KA makes it an excellent device when it comes to easy turns and maneuverability, while still being able to cut down a considerable amount of grass with each pass you make. This, combined with the zero degree turns, makes the Swisher ZTR2454KA an unbeatable design. See more information on Swisher ZTR2454KA. The Swisher ZTR2454KA is a powerful and effective device that makes it easy to cut your lawn with fast and effective power. You’ll be able to move quickly thanks to the impressive 24 horsepower engine built by Briggs & Stratton. Additionally, the machine has a 54 inch cutting deck that makes it easier to cut down the time it takes to trim down your yard. Last but not least, you’ll be able to take advantage of the foot assisted deck lift. This mechanism enables you to lift up the deck of the Swisher ZTR2454KA without the use of a jack lift or other lifting mechanism. Instead, simply use their design to access the underside of the front deck quickly and change out or sharpen your blades. If you want a powerful zero turn mower from a reputable company, the Ariens IKON-X is one of the smartest investments you could make. This high quality machine is built with sturdy materials that will last for years to come. The Ariens IKON-X comes with an ergonomic design to keep you comfortable all throughout your work day and an easy to work with control set up. In addition to having superior comfort, the Ariens IKON-X is able to boast a 52 inch mowing path. This makes it easy to cut down a large area of land in a short amount of time. If you own a landscaping business, this is a great way to expand the services of your company without taking on more workers. You’ll be able to cut down on an impressive amount of time. Last but not least, the Ariens IKON-X has a 23 horsepower engine built by Kawasaki. This powerful and efficient piece of machinery will help to ensure that you’re getting the best use of your time and money. It’s one of the best designs on the market and has some great benefits that any home owner or contractor can appreciate. See more information on Ariens IKON-X. The Ariens IKON-X is one of the best investments available on the market as of now. The machine is full of great features like its 52 inch cutting deck that will allow you to complete your lawn work quickly and effectively. Additionally, you’ll be able to take advantage of the superior ergonomic design when you work long hours. Last but not least, the 23 horsepower Kawasaki engine makes the Ariens IKON-X hard to beat. If you need a machine that can handle well under long working hours, the Husqvarna MZ61 is a great investment for you. You’ll be able to work with a machine that is built to last and withstand rugged work conditions. If you do a lot of professional landscaping, this is a great machine for you to invest in.Husqvarna MZ61 design is one of the best we’ve seen. It does a great job of ensuring the comfort of the operator at all times. One of the most notable features of the Husqvarna MZ61 is the 61 inch mowing path it offers. If you frequently mow large estates that take hours to finish with traditional riding mowers, this machine will be able to cut down your working time considerably. You’ll be able to cut down the number of hours you spend on each yard while increasing the number of customers you can take on in a day. Additionally, the Husqvarna MZ61 is powered by a 27 horsepower Briggs & Stratton engine. This is the one of the leading engine producers. They produce top quality engines that are able to provide optimum power and use fuel efficiently. It’s one of the best quality and most powerful engines on the market. Last but not least, the Husqvarna MZ61 comes with a variety of features geared towards keeping landscapers comfortable during long work hours. The Husqvarna MZ61comes with a seat belt to provide extra safety should you decide to operate the machine on a hill or incline. You’ll be able to work efficiently and in comfort thanks to these great features. See more information on Husqvarna MZ61. The Husqvarna MZ61 is a powerful machine that would serve any full time landscaper well. The mower comes with one of the best thought out designs on the market and manages to make long hours a breeze with the ergonomic seat design. Husqvarna MZ61 is powered by a 27 horsepower Briggs & Stratton engine that helps to maximize fuel efficiency while providing impressive power. If you’re in need of a powerful and reliable lawn mower, the Ariens Zoom Kohler is a great investment to make. You’ll be able to finish the landscaping needs of your residential estate in no time with the impressive features that the Ariens Zoom Kohler offers. The machine is small and compact, making it great for fitting into smaller spaces on your lawn. However, despite the compact design, the Ariens Zoom Kohler still maintains a 50 inch cutting deck that will cut down a considerable amount of your yard with each pass. In addition to this impressive cutting width, the Ariens Zoom Kohler comes with a 21 horsepower engine made by Kohler. You’ll be able to work quickly and efficiently with this impressive motor onboard. The Ariens Zoom Kohler is able to use fuel fairly efficiently and will enable you to mow your lawn in times you could only dream of with your old riding mower. It’s one of the smartest investments you could make as a residential home owner - we highly recommend it. See more information on Ariens Zoom Kohler 6000 Series. The Ariens Zoom Kohler is one of the smartest investments you can make as a residential home owner. The sturdy machine is powerful, but compact, making it easy to trim down your lawn in a short amount of time. Additionally, the Ariens Zoom Kohler manages to fit a 50 inch cutting deck into its sleek design, which makes for faster landscaping care times for you. The Ariens Zoom Kohler is powered by an impressive 21 horsepower engine made by Kohler that will give you impressive power while minimizing fuel consumption considerably. There are a lot of great lawn mowers on the market, but when it comes to investing in a commercial grade mower you want to make sure you’re investing your money wisely. In order to ensure this, you’ll need to take several things into consideration. The first, and perhaps most important thing you’ll want to do, is to consider the engine behind the product you’re thinking about investing in. How much power is it capable of putting out? Are you able to find any other engine that can match or surpass the specifications of the mower that you’re looking at? The best engines on the market tend to be built by Kawasaki and Briggs & Stratton Vanguard. These two engine manufacturers are consistent in their impressive results with both power and efficiency. If you can find a ZTR mower with one of their engines, you’ll be making a good investment. The next thing you’ll want to take a look at is what kind of suspension the mower has. If you’re investing in a commercial grade mower, chances are that you’re going to be logging a lot of work hours with the machine. If this is the case, you’ll want to invest in a full suspension device. Not only will the suspension mechanism make the work more comfortable and bearable for you, it will also ensure that you’re able to get the most out of your mower. Full suspension mechanisms work better when it comes to contouring and getting a good trim on your lawn. You’ll also get by with fewer repairs thanks to the reduced shock and impact. Last but not least, you’ll want to make sure that you invest in the best mowing deck. Commercial grade no-turn mowers are able to do an impressive amount of work thanks to their large mowing paths. However, a large mowing path isn’t all you should be taking into consideration when you look into the ideal zero turn. Many commercial grade mowers are able to push grass up with their sloped fronts and provide other features that make for better investment incentive than a wide mowing path. You’ll want to investigate all of the available features thoroughly before you decide on which deck works well for you. When it comes to the most reliable brand and most reliable manufacturer of ZTR mowers, we have to look to Husqvarna. This company is dedicated to producing top quality machines that are able to consistently produce impressive results. If you want a company that you can rely on to take care of your lawn mowing needs, Husqvarna is the smartest investment. When it comes to commercial grade mowers, you have a lot of options to turn to. There are a lot of great companies on the market that produce best quality zero turn mowers, but when it comes down to quality, performance, and price, three brands stand out from the rest. Husqvarna is one of the best brands for any homeowner to invest in. They have a wide variety of no turn mowers to work with and offer a lot of variety. The company has years of experience when it comes to crafting best quality machines and it shows the standard of excellence that comes with each mower they craft. They offer powerful and efficient machines that are able to make smooth transitions and operate fairly quietly compared to the industry standard. Ariens is a great company that offers a professional cut. They are a great company to go with if you can’t find a Husqvarna that fits your needs. They offer best quality machines that are best for getting work done quickly and efficiently. They also tend to work much more quietly than other brands, so if you live or work in neighborhoods that have noise restrictions this could be a great investment for you. If you want a top quality commercial Zero turn that allows you to stay within a budget, this is a great brand to go with. You’ll be able to maintain all of the great benefits that come with having a commercial grade mower without having to pay the same price that you’d have to with brands like Husqvarna or Ariens. It’s a great compromise for anyone who needs a high powered machine to take care of their landscaping work. Zero turn mowers serve as a great advancement in the lawn care industry. They allow homeowners to take care of their lawns in record time and without having to exert as much energy or effort. These mowers get their name from their ability to turn on a zero degree turn radius. This simply means that a ZTR can turn in a full circle without having to cover any extra ground. 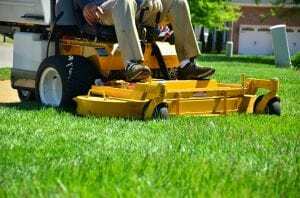 The zero turn is a great investment for homeowners who don’t want to have to spend too much time taking care of their lawn but still want to make sure they get a good cut. You’ll be able to work the mower easily with a system of controls that requires minimum effort to operate. 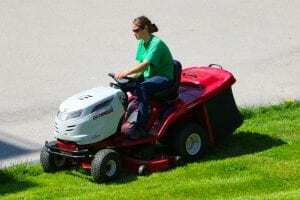 Zero turn mowers are great investments when it comes to lawn care, but servicing them could prove to be difficult if you don’t have the right equipment. These machines are heavy and could be damaged if you try to lift or turn them without the proper machinery. The most efficient way to lift a zero turn machine is to use a maintenance lift or lift jack. These machines are specially designed to handle lifting larger machines like ZTR mowers. They will allow you to easily access the bottom of your machine so you can sharpen your blades or otherwise care for your mower. In terms of lawn care you may ask yourself what to do with all that cut grass and garden waste? Easy! Grab a compost bin to efficiently decompose your garden waste in an environmentally friendly way. Most zero turn mowers do not have a foot pedal brake like traditional modern riding mowers do. However, there is a way to slow and brake the device. The speed of the mower is determined by the levers on the machine. As long as the levers are neutral, the machine won’t move forward. If you’re moving the machine forward or in reverse, all you have to do is push the levers back towards their neutral position to ensure that you’ll be able to slow down to a more comfortable speed or stop. If you wish to pause your work or park the mower, simply disengage the blades and turn on the parking brake. This will ensure that the machine won’t move until you’re ready to start working again. There are several different types of zero turn mowers available on the market and it is important to know the distinguishing features of each one of them before you make an investment. Though all models have the same general design, the subcategories have several important distinguishing features that set them apart from each other. The first and perhaps most common type of ZTR mower is the residential model. These mowers are built for properties that are larger than one acre but aren’t much bigger than two acres. They allow you to get work done quickly and efficiently. These models make great tools for homeowners who need to take care of their yard but don’t have more than a few hours of work to do every time they use their machine. A residential model zero turn mower will get the job done without forcing you to make an investment that will largely go unused. If you have more than a few hours of work to do with your mower or will be using it on a fairly regular or daily basis, the prosumer option will be the better investment for you. You’ll be able to get work done more quickly and effectively than a residential model. Additionally, you’ll be able to work longer hours without the wear and tear showing up on the mower you’re working with. These mowers are exceptionally good for those who need to mow large estates or who owns a landscaping business and need to make a budget buy. They are significantly different from residential models, though not as sturdy as commercial grade models. The third and final investment you can make is to buy a commercial grade zero turn. These devices are the strongest and most durable machines that you could hope to buy. They have superior suspension models, powerful engines, and easy to use controls. They often tend to come with features that can’t be found on residential and prosumer models. If you have a landscaping business and have enough money to make an investment into a zero turn mower, this is the model you should be investing in. These machines tend to be more durable (no plastic parts) and resilient, making them best for those with contract work. You’ll be able to get the most work and good use out of this model, making it one of the ideal investments you could hope for. Many homeowners hate the process that comes with taking care of their lawns. It’s a tiring and tedious process that seems to never end. However, the creation of Zero turn lawn mowers has helped to make this task much more bearable. These mowers make it possible to complete a wider application of different tasks in a shorter amount of time. Even though homeowners have heard about all the amazing features and benefits zero turn lawn mowers have to offer, many of them aren’t certain about whether a ZTR machine would be a good investment for their family. Luckily, there are several things you can take into account before you have to make an investment. The first thing you should think about when considering investing in a zero turn lawn mower is the size of your yard. If you have a yard that is less than an acre in size, you shouldn’t invest in a zero turn lawn mower. These machines are built to help simplify the lawn mowing process, but they won’t make too much of a difference unless you have a lawn that is big enough for them to work with. If your lawn is bigger than an acre, you can invest in one of these machines. However, to ensure that you’re getting the best value for what you need, you should evaluate the capabilities of each machine carefully and make sure that it can perform well under the conditions that you’ll be operating it in. As a general rule, for properties that are larger than one acre but don’t require more than three to four hours of work, a residential model will work well. For properties that require more than three to four hours of work or for landscaping business owners who need to make a budget purchase, a prosumer model is the smartest choice. For professional landscapers who need a durable machine that can get work done quickly that aren’t limited by a budget, a commercial grade mower is the better option. The next thing you should take into consideration is the type of ground you’ll be working on. Do you have a lot of hills and slopes in your yard? If so, a zero degree machine might not be the wisest use of your money. Any hill or slope that exceeds 10 to 15 degrees is too steep to be mowed with a zero turn mower. The grade of the hill may prove to be too much for the machine to handle, causing it to tear your grass, slip, or even topple over. Furthermore, if your yard is mainly made up of hills and slopes, it could be very tedious to try to take care of them with this type of lawn mower. If you don’t have problems with either of these categories, a zero degree machine will work wonders for your yard. It will prove to be an invaluable investment and will quickly pay for itself. If you’re in the market to buy a zero turn mower, you’ll want to make sure that you’re able to get the most out of your investment that you possibly can. To ensure that you’re getting the smartest buy for your money, you’ll need to take a few things into consideration before you make your purchase. The following is a list of features you should monitor carefully while you investigate different zero turn lawn mower models on the market. Power makes a big difference when it comes to taking care of a task like mowing the lawn. The more horsepower you have backing your machine, the better off you’ll be when it comes to getting your work done more quickly and efficiently. You’ll be able to power through your workday with impressive speed and precision as long as you make sure that the power you have backing your machine is ample for the work that you’ll need to do. If you have a property that is not much larger than an acre or doesn’t require more than a few hours of work, you’ll be able to get by with a lower horsepower model. However, if you have a large estate or do professional landscaping work, you’ll need a machine with plenty of horsepowers to spare when you’re working. A powerful engine will make a big difference when it comes to getting work done, but having the proper cutting with can be just as important. The cutting width (also referred to as mowing path) is very important when it comes to making a good investment. Many homeowners think that having the biggest cutting width will make the biggest impact, but this isn’t necessarily true. While you may be able to mow the open areas of your lawn quickly with a wide mowing path, you’ll still have to account for obstacles in the yard that you’ll need to work around. If you’re working in lawns that have several garden areas or other forms of decorative plant life, you’ll want to make sure that the cutting platform isn’t too big to fit between them. The key to finding the best cutting width is to find a platform that is wide enough to take care of large parts of your yard while also being small enough to easily maneuver through tight spaces. You may also want to invest in a durable wheelbarrow for your gardening needs. If you’re investing in a residential type zero turn mower, you may be able to get by with using a lower level transmission. Low grade transmissions don’t have any problem when it comes to taking care of small yard work. However, if you have a fairly large estate to take care of or need a machine that can keep up with the demands of full time landscaping, you’re going to need a more powerful transmission. Not having the proper transmission could lead to bigger problems later on. 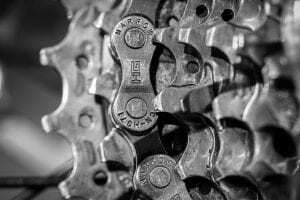 If it comes down to buying a cheaper machine with a weak transmission or buying a more expensive model with a better transmission, you should always pay extra. Not doing so could cause you to ruin the transmission on your machine and spend more money trying to repair or replace it than you would have if you had simply bought the more reliable model in the first place. When looking for your best fit, you’re also going to want to take the fuel capacity into consideration. This will be especially important if you have a large lawn to work with or do professional work with your mower. You’ll want to make sure that you have a fuel tank that is capable of taking care of your needs without requiring you to stop and constantly refuel your tank. Last but not least, consider the weight of the mower you’re investing in. If you need the machine to do landscaping work, you don’t want the mower to be too heavy to easily transport the device from place to place. You’ll also want to be sure that it isn’t too heavy for the lift jack or lift machine you have. If this is the case, you won’t be able to use your lift to get under the machine and sharpen your blades. The Husqvarna 967271501 is one of the best designed mowers that we’ve seen on the market. The machine is built with powerful and durable parts that are made to last for years to come. You’ll be able to work quickly and efficiently with this powerful machine. The Husqvarna 967271501 is equipped with a Briggs and Stratton engine – one of the leading zero turn engine providers on the market. These engines are built to withstand heavy use and will make one of the smartest investments you could hope for. You’ll be able to depend on them for years to come thanks to their superior design and performance. If you’re in need of a commercial grade zero turn, the Ariens 25HP is one of the smartest investments you could make. The machine is powerful and built with sturdy materials that are made to last for years to come. The design allows you to maneuver through many different obstacles without compromising on the mowing path of the machine. Additionally, the Ariens 25HP zero turn boasts an impressive power output of 25 horsepower. You’ll be able to cruise through all your contracts with the exceptional power that backs this machine. You’ll also have 9 different cutting heights to choose from, ensuring that you’ll be able to meet all the needs and preferences of your customers. Last but not least, the Ariens 25HP zero turn makes sure that you won’t need to stop working until the end of your business day. The machine has an excellent ergonomic design that helps to ensure your comfort throughout the day. In addition to this, it also boasts a six gallon fuel tank that will keep the motor running long into the evening. The Poulan Pro P46Z Briggs V-Twin is an impressive device that will help you cut down your mowing times considerably while still maintaining (click for study) a budget price. You’ll be able to get in plenty of work in a record amount of time. Compared to a traditional riding mower, the Poulan Pro P46Z Briggs V-Twin has the ability to cut down your mowing time by half – if not more. You’ll be able to use this speed to capitalize on business ventures and expanding your company. You’ll also be able to take advantage of the best size of the Poulan Pro P46Z Briggs V-Twin. You’ll be able to maneuver easily throughout the space in the lawns you work thanks to the 46 inch deck. For fuel savings using a Zero Turn Mower read this study. This ensures that the machine is small enough to be versatile, while still large enough to have a respectable mowing path. You’ll also have the well built 22 horsepower Briggs & Stratton engine to ensure that you’re able to use your fuel and your time as efficiently as possible. As far as value buys go, this is one of the best options on the market. You can read more about how Zero turn mowers can help commercially here. We hope you enjoyed our article on "The 10 Best Zero Turn Mowers for the Money", if so, please share and rate it. After using this Poulan Pro P46ZX Briggs V-Twin mower I now enjoy cutting the grass again, really easy to setup and use, great investment.